Steamboat resident and cancer survivor Luke Norland is honored by the Colorado Avalanche during their Nov. 16 game against the Washington Capitals. 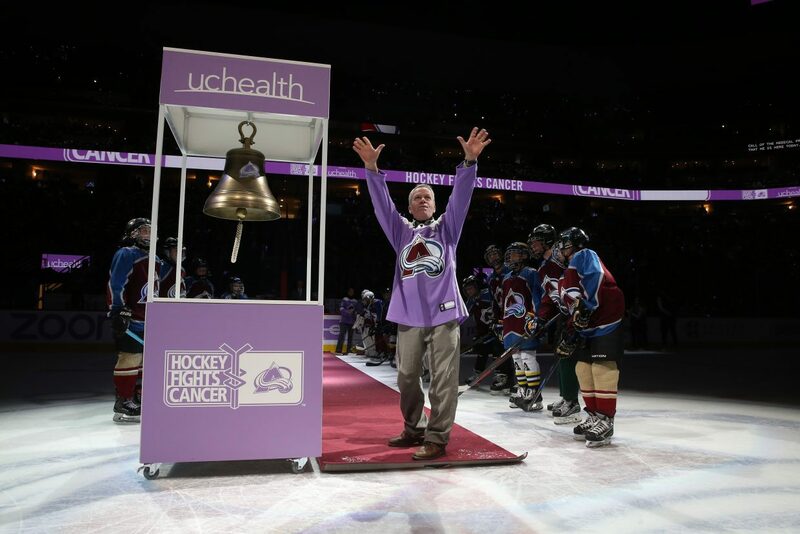 STEAMBOAT SPRINGS — Surrounded by the Colorado Avalanche at center ice, Luke Norland rang a big silver bell, symbolizing the end of his five-year battle with cancer. He was one of three cancer survivors honored at the November game between the Avs and the Washington Capitals, part of the NHL’s annual Hockey Fights Cancer Initiative. Norland owns a painting business and lives in Steamboat Springs with his wife and daughter. In May of 2013, Norland was diagnosed with Stage 4 Hodgkin’s Lymphoma. What started as months of itchy skin turned into a chest full of swollen tumors choking him. The otherwise healthy, non-smoking 50-year-old’s lungs showed up 80 percent black on an X-ray. His heart was being compressed, and there were more tumors in his armpits and groin area. 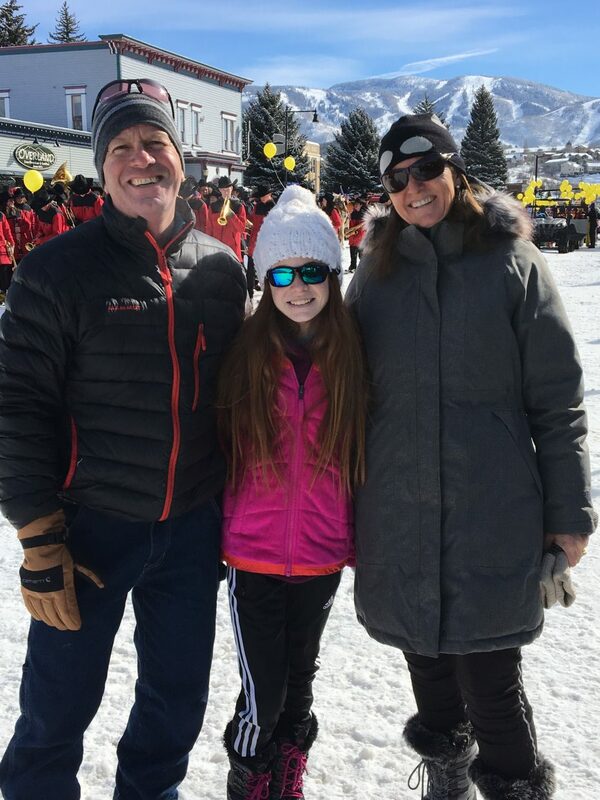 While Norland’s Boston-based family thought he’d surely travel there for treatment, he did a little research and put full faith in Dr. Robert Rifkin, an oncologist at the UCHealth Jan Bishop Cancer Center at Yampa Valley Medical Center. “Whatever he said, I did,” Norland said. Everyone on staff was very prepared with a plan of attack, according to Norland. Over the course of a bone marrow draw, chemotherapy and radiation, Norland stayed in an admitted state of denial. But what really upset him at the time of diagnosis was thinking about the summer he planned to spend with his then 7-year-old daughter. Norland continued working throughout most of the treatment, felt “good but not great,” and in general, “I’d say I got off easy.” He didn’t lose his hair,and never threw up. For more than a year, life again was good. Eighteen months later, the tumors reappeared. “I thought I was in the free and clear,” he said. Because of the advanced stage of the cancer, Norland acknowledges his doctors were more cautious. Again, he began chemo treatments. Then he went to Denver for a bone marrow transplant. 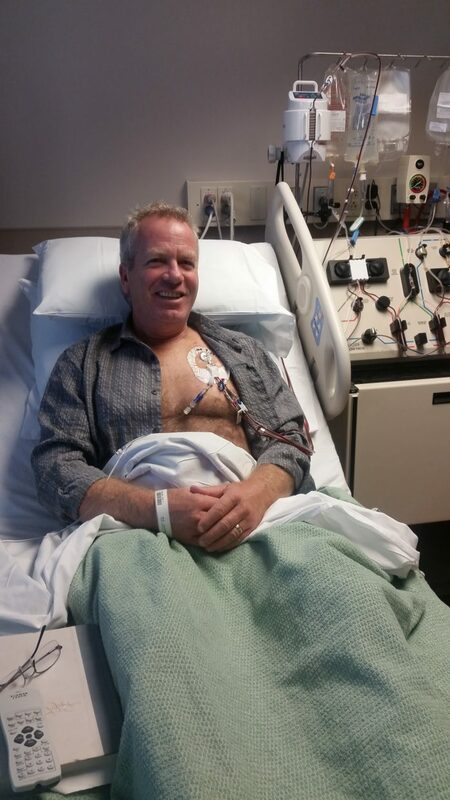 His own t-cells were harvested and readmitted into his body. They could have either become red blood cells, white blood cells or bone marrow cells. Luckily, they chose bone marrow. “It was pretty wild,” Norland said of the six-week long process that included three weeks spent in semi-isolation. And he is grateful for his wife and daughter, who always remained at his side and were the center of his focus. He knows how hard it was on them. Norland went through his last chemo treatment in 2016. When Heather Hogoboom, manager of corporate partnerships for UCHealth, went looking for a patient to honor at the November Avalanche game, the hospital staff in Steamboat thought Norland was the obvious pick. He had survived a lot, and was a big hockey fan — something Norland said is obligatory when you are married to a Czech. Hogoboom said the Avalanche organization and players are very supportive of the annual effort. In addition to telling Norland’s story with photos on the big screen, there were public announcements and staff on hand throughout the game providing resources. Earlier in the week, the team’s captain, Gabriel Landeskog, stopped by a cancer center in Denver, visiting with patients and signing autographs. “Cancer is truly is a disease that touches just about everyone,” Hogoboom said. Joined by his wife and daughter, Norland’s moment of fame at the game was especially memorable after being advised to put a little muscle into ringing the bell in order to get a good sound. He did — enough to break the ringer.